Birmingham Heritage Week this year runs from the 8th -18th September. So full of heritage is the Second City that it extends, by 7 days, the dates of the National Heritage Open Days . 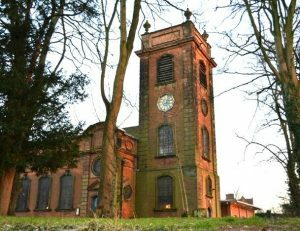 This year we are working with St Mary and St Margaret’s Church and the hotel at Castle Bromwich Hall to offer visitors the chance to see all three historic parts of the Bradford estate. There will be a guided tour of each site including (for those who wish it) a tour of the tower and famous bells in the church tower. Although the Hall is accessible to guests, this is a chance to see some of the magnificent plaster ceiling work and other areas not easily accessible otherwise. Tours can be taken separately or in series. There will be second tours at the Hall: 2pm. Gardens: 3pm and the Church will take informal tours all afternoon. Please note the Tower can take only 4 or 5 people at a time – ask the Church wardens on entrance. You will be given ‘tour tokens’ to exchange at the entrance to each tour. The Church will be open on Sunday 11th September in the afternoon for drop-in tours and trips to the tower…also as part of Heritage Open Days. ..and don’t forget the Gardens have regular , free guided tours around the Gardens on Tuesday, Saturday and Sunday (2pm) during the season. Thank you for your interest in the tours. We have scheduled the following, which will enable someone to have a tour of all 3 sites. It will also be possible to go on just one or two tours – depending on preference. the main sequence is: 1pm Hall, 1.45 Church, 2.30 Garden. Please come to the Gardens entrance first, buy your entrance ticket (£4/4.50 +Gift Aid) – you will then get 3 tokens to give to the guides at each place. The church will take people around informally, after the first formal tour. The tower can only take about 3-4 people at a time, so that will be managed by the church guides. Tracy Hogan liked this on Facebook. Jeanne Holland liked this on Facebook. Katie Day liked this on Facebook. Mo Ball liked this on Facebook. Joseph Carbery liked this on Facebook. Surjit Chanda liked this on Facebook. Katie Swain liked this on Facebook. Frances Marie Campbell liked this on Facebook. Katie Davies liked this on Facebook.